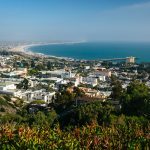 IRVINE, Calif., April 22, 2015 — HomeUnion®, an online, real-estate investment management firm enabling value investing in single-family rental (SFR) properties announced today that K.C. Brotherton has joined the company as Senior Director of Product Management. He will report to Don Ganguly, Founder and CEO of HomeUnion®. Brotherton brings more than 17 years of experience in product management, primarily with startup companies. He joins HomeUnion® from MyLife.com where he was Vice President of Product Management responsible for the MyLife.com product suite servicing over 50 million members. Prior to MyLife, Brotherton was vice president of product for RealtyTracker until it was purchased by Guthy-Renker. After the acquisition he then oversaw product management, development and operations. K.C. Brotherton has been a licensed real estate sales person for 18 years and has been active in the Single Family Rental market. At HomeUnion®, Brotherton will be responsible for managing internal tools and processes along with the public facing website to provide increased value to investors. 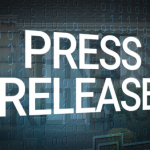 He will be working with Jaime Sipila, Senior Director of Product Management, to set the overall product strategy, identify new opportunities and monitor industry trends to ensure HomeUnion® maintains its leadership position. He will also work to fully leverage existing technology to enhance successful HomeUnion® offerings and provide a seamless experience for the mobile user. HomeUnion®’s investment site allows individuals to invest in single-family real estate, an asset class that was previously not available to the casual investor. With HomeUnion®’s guidance, investors choose a property that best fits their investment needs (income generation, growth or balanced, or a combination of all. HomeUnion® manages the acquisition for the owner and then handles the ongoing management of the property, which includes finding solid tenants and property maintenance. The site has been operational since May and the company has more than $20 million in property under management.